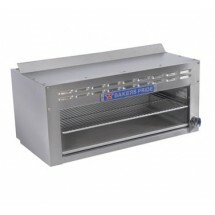 Your commercial kitchen won't be complete without a professional cheesemelter. 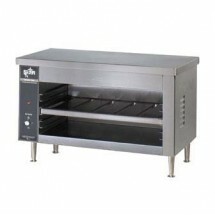 Cheesemelters, also called finished ovens, feature infra-red burners that make beautiful finishing touches on casseroles, onion soups, au gratins as well as toast sandwiches, melt cheese and much more. 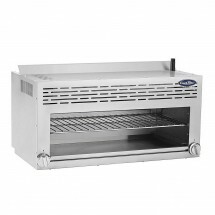 Our selection of cheese melts, made of sturdy stainless steel, will help make your foods look much more inviting and intriguing and easy to clean and maintain. 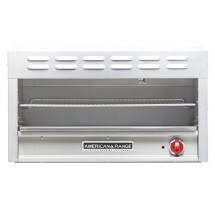 American Range HD60-CM Medallion Series 60" W Cheesemelter Sold As: 1 ea You're pre-approved for a cash advance! 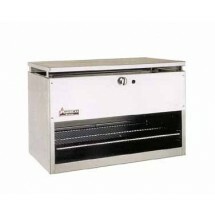 American Range ARCM-72 72" W Cheese Melter/Broiler with 3 Infra-Red Burners Sold As: 1 ea You're pre-approved for a cash advance! 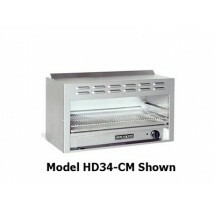 American Range HD84-CM Medallion Series 84" W Cheesemelter Sold As: 1 ea You're pre-approved for a cash advance! 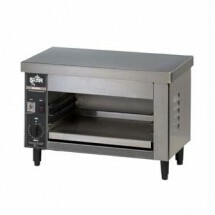 American Range ARCM-84 84" W Cheese Melter/Broiler with 4 Infra-Red Burners Sold As: 1 ea You're pre-approved for a cash advance!